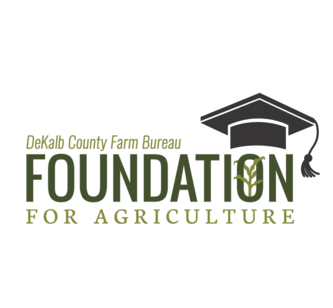 The DeKalb County Farm Bureau Foundation announces the availability of application forms for its Senior Scholarships. The Foundation will grant 10 scholarships to deserving high school seniors pursuing a college education. High school seniors who will be attending a two or four-year college, university or vocational/technical school in the fall of 2019 are eligible to apply. Allie Schneider was one of the 2018 recipients of the DeKalb County Farm Bureau Senior Scholarship. To be eligible, a student’s immediate family must have been a member in good standing of the DeKalb County Farm Bureau continuously since Jan. 1, 2017. Scholarship selection is based on academics, leadership, and community service. The scholarship award is for a total of $1,200 for the freshman year of college. The application form can be found at www.PlantALegacy.org. Complete the application and submit online. A high school transcript and academic information is also required from high school counselors. The complete application is due by Friday, March 8. 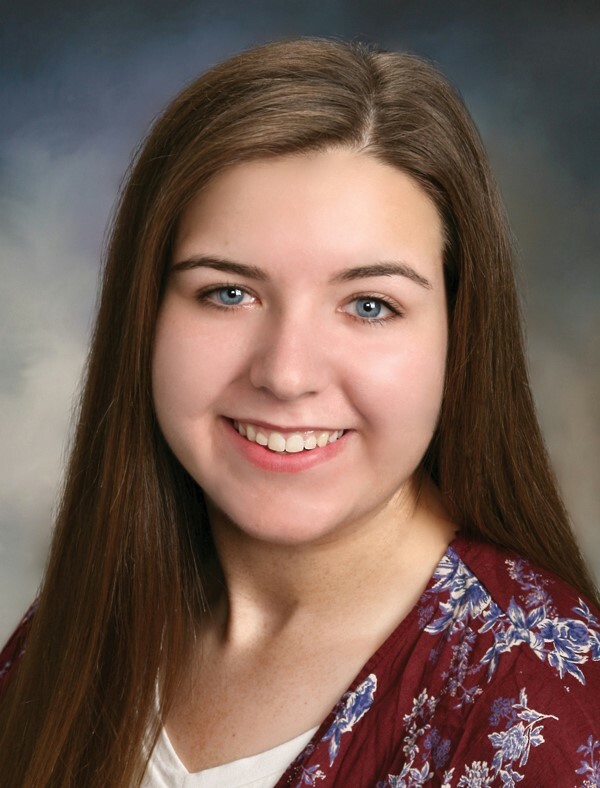 Allie Schneider was one of the 2018 recipients of the DeKalb County Farm Bureau Senior Scholarship. She is a freshman at Northern Illinois University studying industrial engineering. AGCO is offering scholarships to students in Illinois pursuing ag-related college degrees. AGCO Parts Platinum Scholarship ($2,500) – One scholarship award will be given to a student who has completed at least one full year of college education in an ag-related field. AGCO Global Women’s Network Scholarship ($1,000) – Two scholarships will be provided for the college education of women pursuing degrees in an ag-related career field. AGCO Parts Division Scholarship ($1,000) – Two scholarships will be given for the college education of students pursuing degrees in an ag-related career field. Applications are available on the Kane County Farm Bureau website: www.kanecfb.com or by contacting their Foundation at 630-584-8660. Applications are now being accepted for the John Buck Memorial Scholarship. High school students in DeKalb, Kane, McHenry, Boone, Lake, DuPage or Will County are eligible to apply. John Buck was the founder of Buck Brothers, Inc. and J.W. Turf, dealers and distributors of John Deere farm equipment and golf course maintenance equipment, respectively. In recognition of Buck’s passion for agriculture and golf, his family and friends established the John Buck Memorial Scholarship for agriculture students through the Kane County Farm Bureau Foundation. One $1,000 scholarship will be given to a high school senior who will be pursuing a college education in an ag-related field. Applications are available on the Kane County Farm Bureau website at www.kanecfb.com, through the local county Farm Bureau offices, at Buck Brothers, Inc. or J.W. Turf in Hampshire or by contacting the Kane County Farm Bureau Foundation, at 630-584-8660. The application deadline is Feb. 15. One $1,000 scholarship will be awarded to a DeKalb County high school graduating senior interested in or intending to pursue a career in agriculture, the environment, or land use from the DeKalb County Soil and Water Conservation District (SWCD). The Simonson Scholarship was established to recognize the Simonson Family’s commitment in support of agriculture, the environment, and in the promotion of sound land use practices. Applicant must be a resident of DeKalb County, a high school graduating senior, and enrolled as a full-time freshman at a college/university. For application and other information visit: www.swcdekalbil.org or contact the DeKalb County Soil & Water Conservation District, 815-756-3234, ext. 3. Agriculture students and Illinois Farm Bureau® (IFB) members and their children are encouraged to apply for 72 college scholarships offered by the IAA Foundation, Illinois Farm Bureau’s charitable arm. The scholarships, range from $1,000 to $7,500 per year, and a total of $110,000 will be awarded for the 2019-2020 school year. In addition to family scholarships often established to honor the memory of a loved one, the IAA Foundation offers scholarships on behalf of organizations such as Prairie Farms Dairy and the St. Louis Dairy Council. All applicants must be high school seniors accepted for enrollment, or students already enrolled at an accredited college, university or community college. Scholarships are awarded for exceptional academic ability, leadership and financial need. 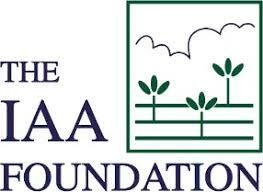 Previous winners of an IAA Foundation scholarship are eligible to apply again. A full listing of available scholarships, eligibility guidelines, and application documents are available at the Foundation website, www.iaafoundation.org. Completed applications must be submitted online by Feb. 1. For more information, contact the DeKalb County Farm Bureau or the IAA Foundation at 309-557-2230. The Leopold Education Project Scholarship provides scholarships to college students studying in a natural resource field such as conservation, fish or wildlife biology, botany, conservation education, ecology, foresty, soils, pollution control, or water quality. The $1,000 scholarship is open to students in northern Illinois from the counties of DeKalb, Boone, Cook, DuPage, Kane, Lake, McHenry, Will and Winnebago. Applicant must be attending or enrolled at a two-year or four-year college. Selection is based upon academic record, a demonstrated commitment to natural resource conservation activities, honors, work experience, statement of educational and career goals, and natural resource oriented community service. To apply, download the scholarship at www.swcdekalbil.org and mail to the Boone County Soil & Water Conservation District. For more information contact the Boone County SWCD office, 815-544-2677. The Compeer Financial Fund for Rural America, the corporate giving program of Compeer Financial, is now accepting applications for its high school senior scholarship program. A total of 120 scholarships, worth $1,500 each, will be awarded. The Compeer Financial High School Senior Scholarship Program is designed for students who will major in agriculture or an agriculture-related field, or have an agricultural or rural background. Students who plan on attending a college, university or technical school are eligible. To apply, students should visit www.compeer.com to download the application form. Applications must be received by March 15.